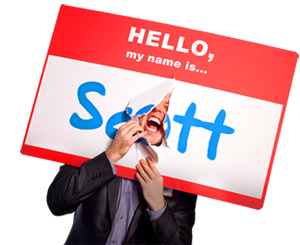 33 Daily Practices for Boosting Your Managerial Magnetism - HELLO, my name is Scott! 1. Articulate strategy and ideas in plain language. Could a fifth grader understand you? 2. Be available physically, mentally and emotionally. Are your ears, mind and heart open too? 3. Be someone who can be trusted with sensitive information. Do people feel safe around you? 4. Be trusted to represent people’s interests, even when they’re not around. Who trusts you? 5. Communicate reasons for changes and decisions. What is causing you to be easily misunderstood? 6. Convey a thorough understanding of yourself. When was the last time you made an appointment with yourself? 7. 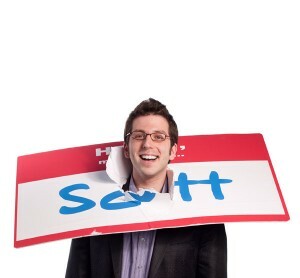 Create a zone of respect around you without being overbearing.What is preventing people from taking you seriously? 8. Create an environment of openness. How do you initiate movement toward people? 9. Deliver specific and constructive feedback via coaching. Are you asking questions or hurling demands? 10. Demonstrate an awareness of how your behavior affects others. How often do you spy on yourself? 11. Don’t provide (too much) direction or guidance. Do you really need another status report? 12. Eagerly pursue new knowledge, skills, and methods. How many books did you read last month? 13. Engage in more ‘What if?’ discussions. What words govern your questions? 14. Facilitate; don’t dominate. How do most people feel when they’re around you? 15. Give personal attention. What’s your strategy for dancing in the moment and responding to someone’s immediate experience? 16. Help people develop passion for their work. How are you helping people discover the 1.21 Gigawatts of Truth that lay within? 17. Lead people according to their unique needs. Are you typing or harmonizing? 18. Let people finish what they have to say. Does your conversational narcissism irritate people? 19. Listen with the ear of your heart, not your ego. Are you monopolizing the talking or the listening? 20. Make a concerted effort to understand how other people experience you. Are you approachable, but not remembered as being approachable? 21. Make, own and share your screw-ups. How have you proven that you support and reward failure? 22. Open yourself to feedback and criticism. What is your ego preventing you from learning about yourself? 23. Open yourself to feedback without becoming defensive. What barriers to learning have you built? 24. Preserve people’s self-esteem. How are you helping people fall in love with themselves? 25. Provide candid feedback in a way that facilitates growth. What actions are you taking to build a reputation as a dispenser of truth? 26. Recognize employee contributions and ideas. Is your listening all show and no go? 27. Remain calm when confronted with different points of view. When you are emotionally involved in conversation, how well do you communicate? 28. Seek advice, feedback and coaching from others. Who’s currently coaching you? 29. Share information in a clear and concise manner. How are you making it hard for people to listen to you? 30. Share relevant insights and personal experiences. Does your insight leave the impression of value or vanity in people’s minds? 31. Tolerate honest mistakes as learning experiences. How are encouraging and rewarding mistakes? 32. Treat people with respect and fairness, regardless of their position or influence. What unnecessary title is preventing people from getting to know the REAL you? 33. When it’s a technical matter, (still) speak English. How could you send this message so it gets through the clearest and quickest?